let's work it! | BENY&CO. My to-do-list after my summer holiday— I need to reshape my haircut— Laundry! ( Ah, Gosh,... there's so many dirt clothes to re-cleaning ASAP), Do more blogging,. It's hard and cliche— but i set my self to post atleast, one day, one post. (Well, let see how far my effort for this). Take a cooking class, yah— caused i found that a thousand reasons why make our very own meals is much much better than purchasing meals outside home. Fighting with deadline of course, as you know my another job as graphic designer sometimes describe best with what-so-called "deadline". 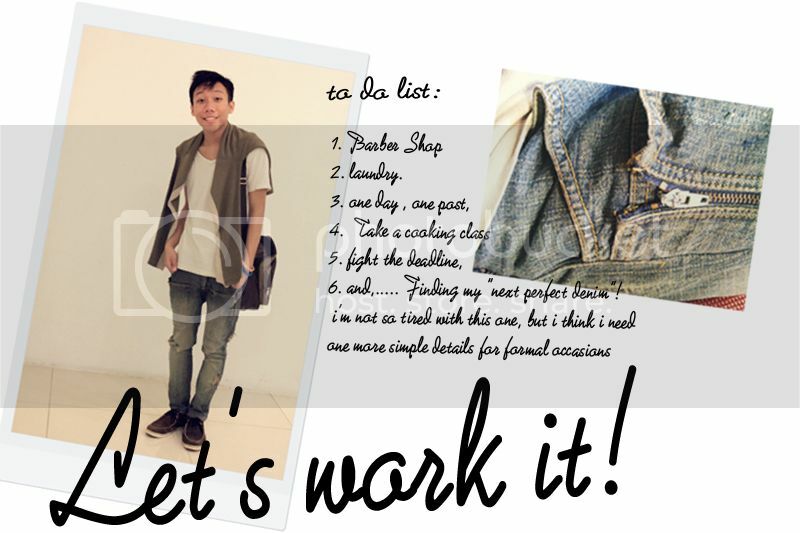 And,.. searching for my "Next Perfect Denim", seriously! i don't even have the simple cuts and clean detail denim but the edgy one at the most. *crab— However, Lets work it! BENY&CO. : let's work it!